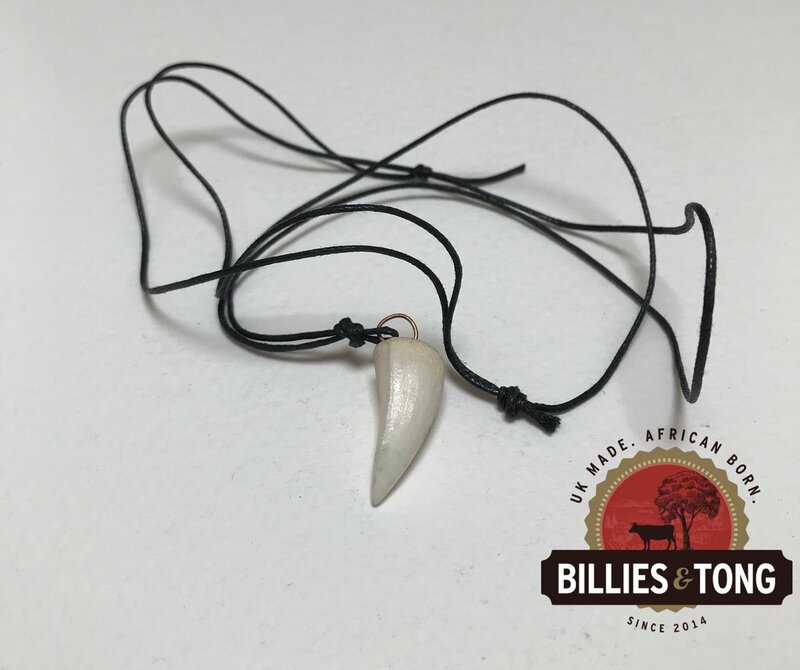 Genuine Crocodile tooth pendant from South Africa. These tooth pendants are brought back to the UK by Gerry after visiting family in South Africa. We only sell fair trade jewellery and the maker of this necklace was paid fairly and goes on to be able to support his family.